Join Ready to Hand for our first Indigo to Dye For! workshop. Indigo is the color that has seduced us, weavers, quilters, sewers, even knitters. We all love the beauty of Its characteristic blue color - from pale sky blue to nearly black. This 4-session series will introduce participants to indigo and the magic of the indigo vat, Shibori resist-dyeing, and indigo dyeing for ikat weaving and hand-woven shibori, and provide an "open vat" session for independent dyeing. Coyotes' Community Concert at Ready to Hand! It is hard to believe, but Ready-to-Hand has reached it's first anniversary! It's been a year of learning in more ways than we ever anticipated, but we've been so busy learning and making that we've overlooked sharing what we've been up to. So look to upcoming posts as we look back at how we've learned together in the studios in weaving and art classes for adults and children, featured neighborhood artists in gallery events, partnered neighborhood programs and the Welcome Threads homeless entrepreneurship project, and took the studio onto the street and schoolyards. Why “Ready to Hand”? It’s a long story, which started a long time ago (during that philosophical journey), but here’s the short version. The name of the studio comes from the work of the 20th-century philosopher Martin Heidegger, Being and Time (1927). Most people who read Heidegger's text find it impenetrable. I was inspired. "Ready-to-hand" describes our attitude toward things in the world. We exist in the world always in relation to it and always aware of that relationship. And we care about it, because to not live with the world is a lonely business. Either we live together with it, or we are isolated from from it. So we care about a lot. Being-with the world means living meaningfully with and in it. When we live in this profoundly caring way, the world is ready-to-hand. The world is not a burden, but a miracle; our life or work in the world is not burdensome, but perpetual opportunity for caring participation. We become ready-to-hand. At least that’s how I read Heidegger, and why Ready to Hand Studio is ready-to-hand. "The hand is the cutting edge of the mind. Civilization is not a collection of finished artifacts, it is the elaboration of processes. In the end, the march of man is the refinement of the hand in action." I was startled by the idea that my constant hand-work - especially the textile hand-work considered merely domestic (as I said, it was some time ago) - might be a pinpoint on the path of human endeavor, not merely my own busying. 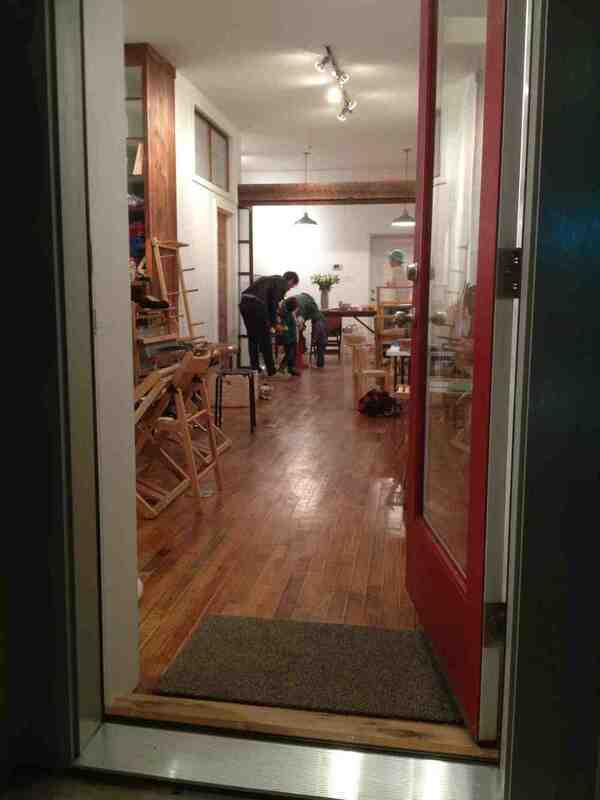 And then there was an interim, filled with jobs, family, community, and plenty of making: hand-work, and heart-work. And all the energy and experience of this long interim led to this moment - to the work of creating a shared making-space - to realize that hands are also the cutting edge of the heart. Ready to Hand: SAORI Philadelphia. Weaving community together one neighbor at a time.